Abu Garcia Revo Toro Beast Low Profile Baitcasting reels are engineered to have great strength and uncompromising performance. 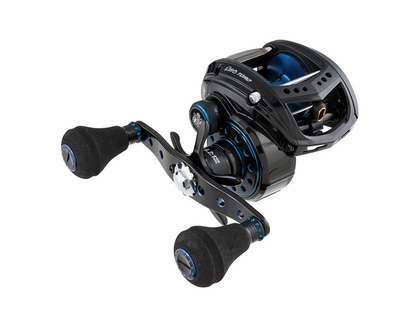 These reels deliver a unique platform designed for hard pulling species. Designed for both fresh and saltwater fish with superior cranking power and high line capacities. This helps give anglers the upper hand on most fish. 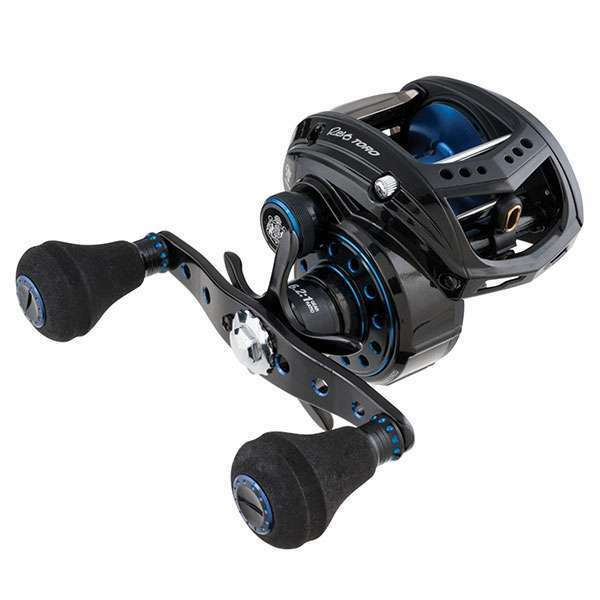 The body design of these reels creates a more ergonomic feel while adding more power and better gear efficiency. Each model of the Toro Beast series reels includes three different power handles so anglers have a variety of customization options. Power Stack Carbon Matrix Drag System, provides extreme drag pressures combined with unmatched smoothness. Active response drag mechanism allows easy drag adjustment even under heavy drag loads. X-Cr�ftic alloy frame and sideplate for increased corrosion resistance. Duragear Heavy Duty provides increased fighting power and extended gear life. InfiniMax braking system allows almost limitless adjustability to handle larger baits. Aircraft grade aluminum spool allows for a high strength spool that is extremely lightweight for greater casting performance. Large EVA knobs provide improved grip. Also Includes Power Handle and Casting Power Handle. Ti coated line guide reduces friction and improves durability. This reel makes an excellent musky reel. It will cast everything from Suick Thrillers to Magnum Pounder Bulldogs. Pair it with your favorite musky rod and you will enjoy the smooth refinement with massive cranking power on tap for when you need it. Pair the rod with a nice inshore saltwater rod too, this reel has no problem filling that niche as well. I have this reel and the larger 61 size, and both are superb reels for muskie fishing. They can rip big stuff easily, and I especially like the choice of handles that are included. Go with this one and you won't be sorry! How much 50lb power pro can the 60 size beast hold. The line capacity rating is misleading. Thanks!